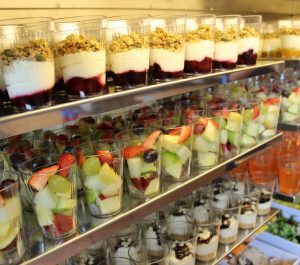 Food is an important part of the school day and at Red House we offer a wide range of food with choices on each course. Our focus is upon providing fresh seasonal produce and therefore menus are changed on a weekly basis. 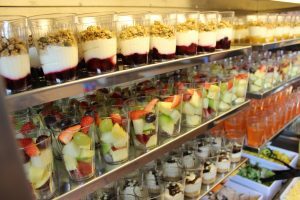 We have recently made a significant investment in new catering equipment including new serving stations and new crockery to further enhance the dining experience for our pupils. In addition we have appointed a new catering firm, Wilson Vale, who will be taking over the management of our catering services. Wilson Vale’s use of quality, seasonal ingredients will be key to maintaining our high food standards at Red House School. 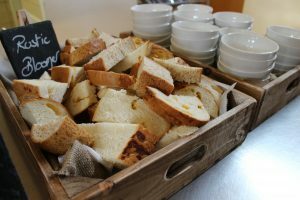 They roast all of their meats on site, make their own soups and salads on a daily basis and freshly bake a wide variety of breads, such as focaccia, ciabatta and malted wholemeal bread. Our menu is available in the meals section of the website and is updated every Friday afternoon so that parents can see the options available to their children each day for the following week. This can prove very useful when planning evening meals!